These gentle giants, that weigh more than 60 kgs as adults, are high maintenance dogs. But if you have the right space and facilities, they are wonderfully patient with children and get along happily with even the much smaller Miniature Pinschers and Shih Tzus. Outdoorsy and always up for some rough-housing, ensure they have a cool environment and loads of human company .A�Be sure to brush them every day and bathe them once a month with a gentle shampoo to keep their fleece flea-free and comfortable. They need good quality, nutritious food, (over 2 kgs per day) of meat with rice and vegetables. 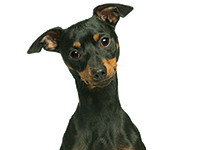 But avoid too much chicken and dose them with enough calcium and Vitamins D3 and C.
Compact, self-possessed and perfect for your tote, the Miniature Pinscher is a feisty little pooch who can eyeball a rottweiler in a pinch. They love cuddling and will happily settle in your lap for a good snuggle, but only on their own terms.A�With a strong resemblance in shape and colour to the fierce Dobermann, they are also assertive and make for fantastic watchdogs. A�A good wipe down with a silk cloth or Chamois leather and a bath once in six months will keep their short, easy-care coats gleaming.A�A�These small eaters will readily gobble up commercial food, both vegetarian and non vegetarian. A�Rs40,000 for this prized guardian. A great lap dog, the Shih Tzu is most famously found as companions to Chinese and Tibetan monks because of their calm personalities.A�Attractively marked with long, gorgeous, silky hair and beautiful chrysanthemum faces,A�their top hair is always tied into a fan-like knot that can be groomed and styled in different, fun ways. Perfect as apartment dogs, they grow to about 10 inches on their shoulders and do not bark incessantly. Plus, they are small eaters who can even be trained to enjoy a vegetarian diet. They make wonderful show dogs and are a great favourite with kids because of their distinct features and friendly, non-fidgety personalities. 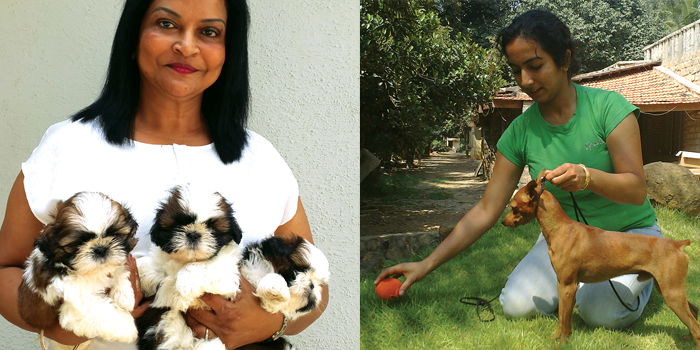 Add on a teddy bear clip to get the adorable and cutesy look.A�Rs75,000 for a show-stopper and Rs40,000 for a companion pup. Delightfully affectionate with magnificent eyes and perhaps the most wonderfully coloured coats, these pure breeds are moderately sized and weigh up to 28kgs. The best part is that they are completely odorless and need minimum maintenance except for daily brushing. A�However, they love to exercise and you need to take them for long, long walks even if you are feeling lazy. These clever pack dogs treat the family as their own pack members, are extremely loyal, shower them with all their love and affection, and like to have endless conversations with them by modulating their voices. Rs75,000 to Rs1 lakh for these misty wonders.